Motivational Poster. 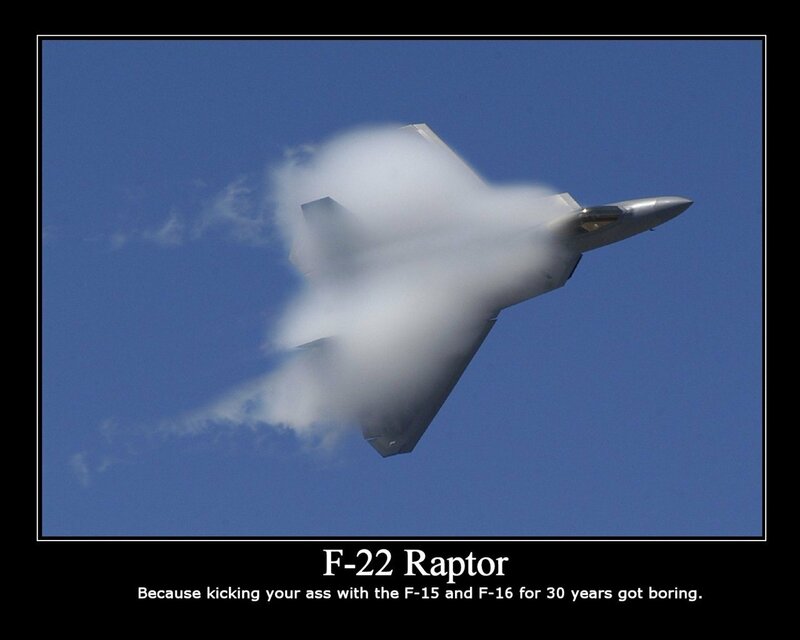 Nothing like a good ol' sonic boom to scare the crap outta the terrerists! (this is my Favorit plain in the whole world!!!). HD Wallpaper and background images in the Debatte club tagged: fighter f-22 cool humor. Correction-plane. My apologies. Sometimes I get typing too fast and type what comes to mind first. That's okay. I don't know a whole lot about planes either, just a little because my dad has worked wit them all my life and can name any craft in the sky. Only a lil bit has rubbed off on me though. I'm much better at telling you what I think of the tone of a violin!